Adding a location in an Instagram photo or video can be useful for letting your followers where you are, without needing to state it in the caption. You might even attract more engagement or new followers from the Instagram users who are around the same location and browsing through the photos that were geotagged. Locations are displayed at the top of each Instagram post once they're published, right beneath the username. You can tap any location to be taken to its Photo Map page, which shows a collection of all the photos and videos from people who geotagged them to that specific place. It's relatively simple to add a location to an Instagram photo. As long as you have the Instagram app installed on your mobile device, you can get started right away. The first thing you need to do is snap a photo or film a video through Instagram (or upload an existing one) and make any necessary edits. Crop, brighten and add filters as desired. Once you're happy with everything, press the arrow or "Next" button in the upper right corner, which takes you to the caption and tagging page. This is where you can add a location. On the page where you fill in all the details about your Instagram post, you should see a button in the middle of the screen labeled "Add to Photo Map." Make sure it's turned on. After you've turned on your Photo Map, an option should appear beneath it that says "Name This Location." Tap it to bring up a search bar and a list of nearby locations. You can either choose one of the locations displayed in the list, which is generated by your device's GPS, or you can start typing the name of a specific location in the search bar if you don't see it in the list. If your search doesn't return any results, you can always create a new location by selecting "Add [location name]." This is a useful feature for smaller, lesser known places that haven't been added to Instagram yet. Tap your location of choice that you either found in the nearby location list, through search or by creating your own. Now that you have a location selected, it should be displayed beneath the "Add to Photo Map" button. You can then add a caption, tag any friends, set which social networks you want to share it on and then hit the publish button in the upper corner to post it on your Instagram feed. Once you've published your photo or video, you should be able to see the location in blue text at the very top, just beneath your username. And if you navigate to your Photo Map, which can be found by tapping the little location icon from your user profile page, you should notice that your photo or video will also be tagged to the location as shown on your map. 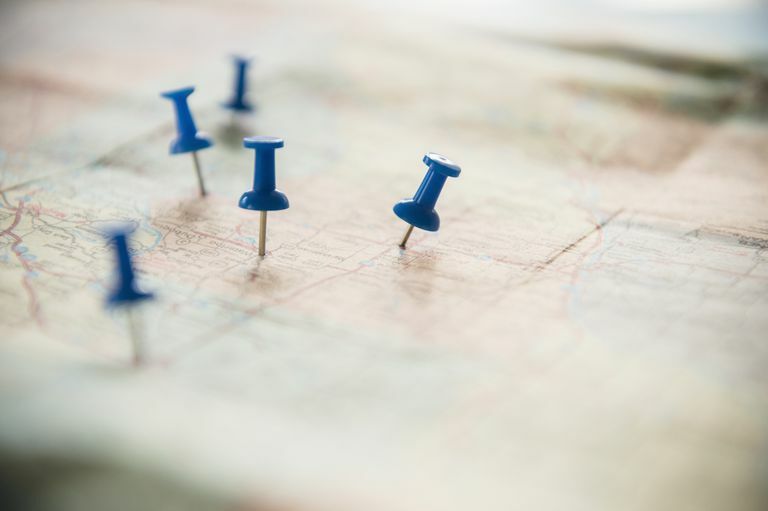 Any location you add to a photo or video acts as a live link, so after you've published it, you can actually tap it to bring up the Photo Map page for that specific location in order to see more photos from other Instagram users who also geotagged their photos and videos. The most recently added posts are shown at the top, so as more photos and videos are added, yours will move down the feed. Feeds for locations that get lots of visitors, like tourist attractions, tend to move pretty fast. You can disable the location tagging feature anytime by switching your Photo Map off before you make a new post. As long as you leave it on, it will still be added to your Photo Map, even if you don't add a specific location to it first.